An SF novella set in the Diving universe. It’s set before the second book in th series, City of Ruins, and you don’t have to read the books to enjoy this story. The novella is written in first person and mostly in the present tense. The POV character is the starship Ivoire’s main linguist, and the ship’s captain’s ex-wife. Her name isn’t mentioned in this novella but it’s Mae. Mae is one of three people who are still alive from her group of twenty seven linguists. They went down to a planet to meet with and learn from people who are reputed to be extremely violent. Mae returned caked in blood and no memory of what happened to her and the rest of her team. She isn’t told what the other survivors say. Mae has kept herself confined to her quarters and she refuses all contact from her family and friends. She doesn’t want to remember and thinks that she should have been left behind on the planet where the team died rather than being brought back to the Ivoire. Then the medical evaluation unit sends a team to her and Mae wants a legal representative. We get to know a lot about the Fifth Fleet from the POV of the people who live there. They live on the ships which roam around the space helping people who need it. I found the fleet fascinating; some ships specialize on things, like training or medicine, and some are the work horses, so to speak, which do the main work of contacting other cultures. However, it seems that each ship has to be mostly self sufficient because they may go a while without contact with the other ships. The fleet has very advanced technology. This universe doesn’t have aliens but it has a lot of planets colonized by humans, but such a long time ago that they have developed their own languages, technologies, and cultures. And not just on different planets but several different cultures on the same planet! The Ivoire was attacked and used its anacapa drive to jump into the foldspace but the drive has been damaged and the ship can’t return. The tensions on the ship are high. Since she was a child, Mae has been curious. She wants to know about new cultures and she especially loves learning new languages. However, in this story, she has been severely traumatized which has made her curl inward. She’s still a fighter, though. This is another excellent tale from Rusch; it’s about culture clash and it’s also a psychological story where Mae struggles with the past she doesn’t want to know. My deep dark secret on the SF front: I haven’t read Verne before. Ever since I saw Back to the Future III I’ve wanted to but never had the real urge until now. Sadly, I was somewhat disappointed. First off, this isn’t an adventure story. The book tells, in a humorous tone, about a bunch of men who build a really big gun with the intent of shooting it to the Moon. The book is also very much “tell not show”. When there’s a chance of doing an info dump, Verne does it all the way. There’s a chapter devoted to info dump about the Moon and the various superstitions about it, another chapter devoted the how much money each country sent to the endeavor, and even a chapter about the geographical differences between Texas and Florida. When characters are introduced, Verne tells about each of them at length down to their cranial dimensions instead of showing their behavior. The characters, all male, are larger than life and inspire action and confidence in their fellow males. The Gun Club consists mostly of men who had lost a limb or two to the great war machines but they still want to improve the guns. However, to their disappointment, the world has come to a peaceful period without much of a chance of a major war. During this bleak time the Club’s president, Imprey Barbicane, thinks up the idea to shoot at the moon. This idea energizes not only the members of the Club the whole America, and shortly the whole world. Barbicane himself designs the enormous cannon and equally huge projectile. The whole America follows the undertaking. In addition to the brilliant and charismatic scientist Barbicane, the book has few other characters: T. J. Maston is the Club’s secretary and Barbicane’s loyal follower, Captain Nicholls is Barbicane’s bitter rival (being a metal armor designer while Barbicane designs guns), and the French Michel Ardan who is the first to want to fly to the Moon. After halfway through the novel, the idea is introduced that people might want to ride in the projectile. First the idea is jeered as impossible but in the end three men, and two dogs, climb into the projectile. Some of the dialog in the book, if not most of it, is lecturing rather than actually dialog. People lecture to each other about the Moon and even deduce that there must be air on it. The three astronauts even bring seeds and saplings with them to plant them on the Moon. The book also ends in a cliffhanger. Sadly, to me this book hadn’t aged well but it could also be Verne’s style which seems to pay meticulous attention to details. I’ve read a bunch of books from H. G. Wells which felt much more modern. Dracula and Frankenstein from the same era were also more enjoyable. The first book in the Iron Druid Chronicles. Atticus O’Sullivan manages an occult bookshop and herb shop in Arizona. He’s around two thousand years old and the last druid alive so he’s made quite a lot of enemies and friends over the years. So, when five fairies attack him, and the Morrigan shows up to warn him that he’s in grave danger, Atticus isn’t really surprised. Aenghus Óg, the Celtic god of love, has found Atticus. Hounded is a very fun book. It has a plethora of old gods and spirits, magic, and a funny sidekick who is actually funny. 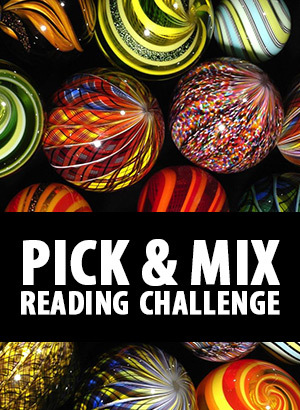 There are lots of reference to pop culture, modern fantasy books and movies and songs. I really enjoyed Oberon, Atticus’ Irish wolfhound. Atticus speaks with him mind to mind and Oberon feels very much like a dog: talking about sausages and wanting to mate. When Atticus tells Oberon about his time with Ghengis Khan, Oberon really likes it and starts to refer to “what would Ghengis Khan do”. Funny! Atticus has a a lot of supernatural contacts both in town and elsewhere. He has a deal with the Morrigan so that she doesn’t take his soul. Of course, she isn’t the only death god around… I rather liked her portrayal here; she’s bloodthirsty and kills humans when they annoy her. Atticus has two lawyers: one of them is a vampire (and a viking) and the other is a werewolf. And Atticus’ next door neighbor is quite a tough old lady. That said, the book has some faults, too. Despite his supposed age, Atticus doesn’t actually come across as old or wise. He feels very much like a modern man who is just as self-absorbed as any teenager. For someone who has managed to stay alive for two thousand years, he doesn’t seem to have learned much. I found it a bit baffling that so many goddesses are attracted to him. Also, Atticus is so powerful that there’s isn’t any real tension in the book. Today the topic of Top Ten Tuesdays is All Time Favorite Book Characters. I have lots of these and it was a bit painful to narrow them just to ten. Ruthlessly, I narrowed it down to just one character per writer, otherwise this would a list of Bujold and Brust characters. She’s the main character in Cordelia’s Honor and a minor character in the rest of the Vorkosigan SF series. She starts the book as a captain of a survey starship. Ruler of Castle Black, a wizard, a fighter, the Court Wizard to the Empress. By human standards he would be arrogant and proud to the point of insanity but he’s a Dragaeran from the House of the Dragon. Unlike most Dragerans, he can become friends with a human. From the tales shortened for kids. She’s a very radical woman for the Victorian era, an independent woman and an archaeologist. Shadow is a charming elf thief who defends her friends with her life. The noble thief who lives in Sherwood forest stealing from the rich and giving to the poor. My very favorite version of Robin Hood is actually the 1980s TV-show Robin of Sherwood. The nameless first person narrator in Rusch’s newest SF series. She’s fiercely independent but has had to learn to work with a group. A rather unusual woman for 1920s Australia; she’s a doctor and very no-nonsense type. I also adore the Scottish accent that the audio book reader does for her. The hard working pixie who has to protect his family, too. A starship captain and a member of the hani race. Today the topic of Top 5 Sundays at Larissa’s Bookish Life is Reasons I’ll quit an Author. Most of the time I’ll wander away from an author because I don’t have enough time to read everything I’d want to. Sometimes it’s because I’ve found new authors whose (current) books I’m just in a hurry to read quicker. Sometimes authors write in different genres. I’ve realized that even if the author is someone whose work I usually enjoy, I’m just not interested in all genres. I’m not a romance reader. It’s very rare for me to enjoy a long lasting unsatisfied sexual tension. It’s especially excruciating when there’s some laughably shallow reason to keep the would be lovers apart. And don’t get me started on moronic misunderstandings! Sadly, most of the time it’s blindingly clear whom the heroine is going to choose. I don’t have patience for these at all. I’ve noticed that the older I get the less patience I have with this. The vast majority is lazy and short hand writing anyway, to quickly make the reader either hate the bad guy or sympathize with the victim, or both. Sadly, some authors (too) think that other people should not have human rights because they somehow different. This can come through either in the text or the author’s remarks. 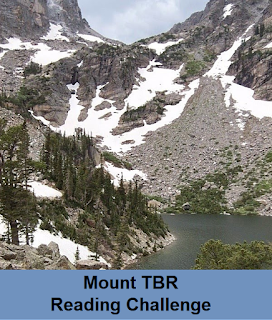 First in the Winterlands fantasy series but can be read as a stand-alone. Jenny Waynest is a mage, a healer, a midwife, the mistress of Lord John Aversin, and the mother of their two sons. John is Dragonsbane, the only living man, or woman for that matter, who has slain a dragon. He is lord in the small town of Alyn Hold and is charged with keeping the local people safe from raiders, robbers, the Whisperers, and the cannibalistic Meerwinks. He doesn’t get any support from the king of Belmarie, though. Then the King sends a messager to summon John because a dragon has destroyed the Deep of Ylferdun where the gnomes live and has a lair there now. The Black Dragon is supposed to be a lot larger than the one John has killed and he’s reluctant to go. But when young Gareth promises him guards and gold to protect the people of Winterlands, he agrees to leave and Jenny goes with him. However, Jenny notices that Gareth looks guilty and refuses to meets John’s eyes so she suspect that something strange is going on. However, Jenny and John soon realize that the dragon might be less deadly problem that the court politics. The King seems to be under the thumb of his mistress Zyerne who is a very powerful mage. Her malicious influence runs through the court. The humans also loath the gnomes and blame them for all their troubles. The courtiers see John and Jenny as amusements and northern barbarians. Dragonsbane was probably a revolutionary epic fantasy novel in 1985 when it was published. The main character and her lover are parents and in their thirties, and yet on a quest to slay a dragon. John is still quite a quirky hero; he’s more a scholar than a fighter: he loves to read and hoards books when he can. He quotes from famious texts although he doesn’t necessarily remember exactly whose text he’s quoting. He wears glasses and is very practical about dragonkilling using poison and sneak attacks when possible. He also trusts Jenny and isn’t out to “protect” the “fragile” “beauty”. He also understands that Jenny’s first priority is magic, not him nor even their sons. Fantasy tends to have very romantic view about (romantic) love so this especially makes John stand out. He’s also a cheerful fellow. Jenny suspects that if she hadn’t stayed with John she could have become a far more powerful mage. This thought haunts her still, especially now when John is heading to such terrible danger. She knows that her powers are limited. She also wonders if her old mentor had been too old to teach her properly. When she encounters Zyerne who is so much more powerful than she, she’s jealous but at the same time she’s afraid of Zyerne’s callousness and cruelty. Jenny doesn’t want to be like that. Like John, Jenny is very practical and living in Winterlands has taught her to be silent and adapt in order to survive. In a way, Jenny is a reluctant heroine; she goes with John willingly enough and is ready to help him when necessary but when she realizes that she needs to do much more, she does it even when she has doubts. Gareth comes to the Winterlands as a young man with his head full of ballads whom he collects. He has a rude awakening to reality. John isn’t the shining (and rich) nobleman Gareth is expecting and dragons can’t be killed the way that the ballads claim. Much of the plot centers on political intigue but the dragon has a large part as well and there are pretty intense fight scenes. However, Jenny’s character development is more central to the book. The dragon is a very interesting character. At times, he was perhaps a bit too human but most of the time his priorities were very different from humans’. It’s mentioned in the book that nobody knows from where dragons come from. 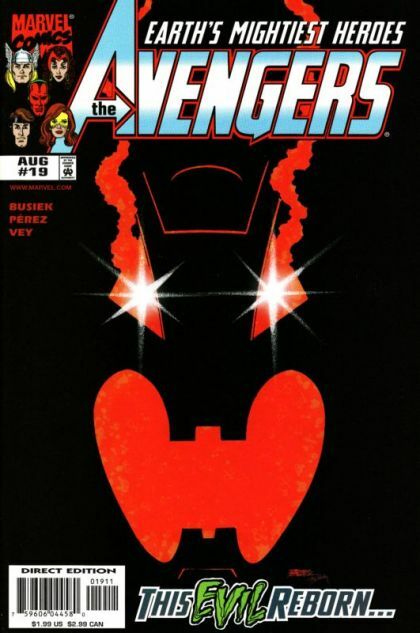 Collects Avengers vol.3 issues 12-23 & #0, Annual 1999; Avengers: Rough Cut. Issues 8-15 are collected in Avengers: Clear and Present Dangers and issues 19-22 (and 0 which I don’t have! Sob!) are collected in Avengers: Ultron Unlimited. Avengers 12, “Old Entanglements” is a double sized issue and picks up a few weeks after the end of the previous issue. Hawkeye has left and has been reported with the Thunderbolts who have been outed as criminals. Vision has finally been repaired and he’s back in action. Even though Wonder Man and the Scarlet Witch are now together, Vision is clearly not over Wanda and wants her back, even though he won’t admit it. Meanwhile, Vance is increasingly uncomfortable with being in the same team as the Living Legends he has admired so long. Hank (Pym) manages to cure Angel’s health problems so ironically Angel is now more comfortable being an Avenger than Vance who desperately wanted into the team in the first place. Then, the Thunderbolts are spotted in the old Dominus base and the Avengers head there to get some answers. Of course, a fight breaks out. Finally, the Thunderbolts and the Avengers united to defeat a common enemy. However, Hawkeye stays with the Thunderbolts. The Thunderbolts and the Avengers exchange some heated comments during the battle and have clearly trouble in trusting each other. Hawkeye is his old self; the first battle was supposed to be a training opportunity which goes a bit wrong. The next issue, “Lords and Leaders”, spotlights Vance and brings in a new enemy, the Lord Templar. The New Warriors guest star and Vance realizes how comfortable he is with his old teammates Night Thrasher, Nova, and Speedball. Captain America is off dealing with his own problems and Wanda becomes the new deputy leader. She proves herself immediately during the battle with the mysterious Lord Templar. He spouts about wanting to bring peace on Earth, with firepower, of course, and manages to escape. Vance was ready to quit the Avengers but Angel is now really comfortable with the team and wants to move into the mansion. I rather enjoyed this reversal of their roles and it was great to see more of Angel and Vance. In the next issue the Beast returns! It was great to see the old friends Simon and Hank (McCoy) reunited! Hank, Wanda, Simon, and the Vision have a long heart-to-heart talk with each other about the awful things they’ve done in their past. Simon is haunted by his rampage before he died and Wanda remembers her own rampage. Then Pagan, a very powerful new villain attacks. He shrugs off the Beast and the Vision, and even goes toe-to-toe with the Wonder Man. He, too, escapes in the end in front of cameras. I really enjoyed the Wanda/Vision/Simon talk. They are all characters with serious baggage; in other words they have been victims of some very strange plot devices and it was great to see them acknowledge these and try to get through them somehow. In the Three fold path in issue 15, Triathlon returns and we get to see a bit more about his religion, the Triune Understanding, which apparently seeks to help humans have balance inside themselves. Meanwhile, the Avengers are searching for the Lord Templar with gadgets that Iron Man built. The new deputy leader Wanda tries to bring the current Avengers members closer together and more comfortable with working together. Now they have a rotating leader for the weekly meetings and paring off people who aren’t used to working with each other during training and on the field. Lord Templar’s trail leads, of course, to the Triune Understanding’s residence. Triathlon is at first pleased to see the Avengers but doesn’t want to let them in to search the grounds. Then Pagan attacks. While the Avengers protect the crowd, Pagan mops the floor with Triathlon. Then the Lord Templar appears and seems to easily imprison Pagan. The media is there, of course, and once again the Avengers have been humiliated in front of the cameras. Wanda remarks that in previous fights Thor has bested Lord Templar but Pagan has bested Thor, so it’s illogical for Lord Templar to defeat Pagan. On the second to last page we get to see that the leader of Triune Understanding, Jonathan Tremont, is in fact Lord Templar. The plot thickens! And it thickens even more, with a one page glimpse of the Wrecking Crew being transported away and on the last page where Ultron boasts: “…total irrevocable destruction of the human race it at hand!” Yay! Next up is the three issue (16-18) arc with the guest writer and artist Jerry Ordway. These were very good issues with the team divided and a galore of guest Avengers (well, okay, four. But I’m a fan of both Monica and Carol and it was great to see them). I rather enjoyed this arc, too, and it’s a shame it hasn’t been collected elsewhere. In Mistaken identity the Doomsday Man has returned from long hibernation and has employed the Wrecking Crew giving them stronger powers. The Crew is a bit dubious about working to him but reluctantly agree to look for Ms. Marvel. The Crew make a bank heist and start wrecking New Orleans where Photon (former Captain Marvel) works with her dad. Monica changes to her energy form and heads toward the crew. Meanwhile, Vance is desperately trying to chair the Avengers weekly meeting and fails. He’s very upset about it. The Black Knight drops by for a visit and Photon barely makes it back to the mansion to ask for help. Cap, Scarlet Witch, Thor, Firestar, Iron Man, Justice, The Vision, and Wonder Man leave immediately to help. Unfortunately, the Wrecking Crew manages to evade capture because it’s the Mardi Gras and there are lots of innocent people about. The team disperses and looks for the villains. Unfortunately, they aren’t still used to fighting together. The Black Knight inadvertently wounds Justice and the Crew manages to knock Photon unconscious and kidnap her. Then they disappear with her. Meanwhile, Jan runs into Warbird just in time to see her be teleported somewhere. In Cage of Freedom, the team splits up. Cap, Scarlet Witch, Thor, Firestar, The Vision, and Wonder Man follow the Crew’s, and Photon’s, energy residue to Polemachus, the home world of Arkon and Thundra. Iron Man and doctor Foster inspect Justice’s injury when Wasp and Giant-Man bring word that Warbird has been kidnapped. Iron Man, Wasp, and Giant Man investigate while Justice is put on the injured list, over his protests. The Doomsday Man has indeed kidnapped Carol. She fights him until Iron Man, the Wasp, and the Giant-Man arrive. However, Vance has stubbornly followed the other Avengers and saves the day, further injuring himself in the process. In Battle for Imperion City, the Avengers in Polemachus fight the Wrecking Crew who have managed to take over Imperion City. Next is the four issue Ultron Unlimited! One of my favorite Busiek arcs! “This evil reborn” starts with the Black Panther witnessing a slaughter in a Wakandan plant. The attacker is s robot with glowing, smoking green eyes. Then we move to the Avengers mansion and Angel and Vance moving in. Angel is really exited about it but Vance is till glum with his injuries. Wanda is dancing in a local restaurant to an enraptured audience and among them is Wonder Man and the Vision who flees when Wanda notices him. Meanwhile, Iron Man, Thor, and Cap are holding a media conference which turns ugly when reporters ask about the incident at the Triune Understanding and accuse the Avengers of religious intolerance and racism as well. It’s almost hilarious, if it wasn’t so sad, to see a reported pointedly asking after non-white Avengers and accusing the Avengers of having mutants in the team in same breath. When the Wasp crashes through the window, tells that Hank has been kidnapped, and the Avengers chase out the reporters. One of them even shouts “the public has the right to know!”. Then, the Avengers hear that the Black Panther is in combat with a being made of adamantium. They leap to the quinjet where Vision tells Ultron’s history to Firestar very briefly, not even a full page! They storm the factory and find out that the Panther is a bait to lure the team to the clutches of Alkhema-2. The team isn’t able to contain her until Wonder Man and the Scarlet Witch arrives and Wanda is able to really rattle the robot (literally). Then the team finds out that Ultron has massacred an entire small (European) country. “This Evil Unfolding” starts with the UN and Avengers uniting against Ultron. There are disturbing scenes about how easily Ultron conquered Slorenia and massacred the entire population with his hovering robot platforms. Several countries have given troops to take back Slorenia and the Avengers are going to lead them. Meanwhile a crack team of four Avengers are investigating the thrashed room from where Hank was kidnapped. The Vision, Wonder Man, Wasp, and the Scarlet Witch reminiscent about Jan’s and Hank’s history and then they are attacked by former versions of Ultron. The battle goes well until Wanda is taken down and then the Ultron copies grab the four and deliver them to Ultron himself who intends to use them as “seeds” for his new race. The issue actually starts with a little lighter touch with Vance wondering about how easily the Black Panther returns as an active Avengers and Thor gently telling him that the older Avengers are like brothers (and sisters). Lovely scene! The rest is pretty grim. There’s a small scene with Wanda and Vision about why Vision left in the previous issue from the restaurant where Wanda was dancing. Another is with Firestar and Iron Man about how Ultron personifies the fears about technological abuse and Tony fears that his technologies can be used to similar evil. Angel, of course, doesn’t know that Iron Man is Tony. This was a really nice touch. And Vance has to stay behind because of his injuries. Jan tells about her history with Hank and she blames herself for some of it, for marrying Hank when he was in the middle of a break down. She’s also worried about Hank’s continued sanity. There are no light scenes in “This evil unveiled”. People die and the Avengers’ fight against the army of Ultrons seems desperate. Ultron has created an army of necro-cyborgs from the bodies of the hapless slorenians his flying robot army has slain and they are now defending the conquered country against UN troops and the Avengers. The Black Panther and Firestar look for Ultron’s command center while Ultron is discussing his plans with his prisoners. Apparently, he wants to reproduce by using and mixing the brain patterns of the Vision, Simon, Wanda, Hank, Jan, and Eric (the Grim Reaper) on his robot army to create individuals instead of just copies of himself. Meanwhile, the Panther gets close to Ultron’s lair and he fights them on his classic command platform. The Avengers give it all and finally manage to destroy him. This puzzles Iron Man who though they shouldn’t have managed it, because no matter what you hit adamantium with, it shouldn’t break. Still, they descend into Ultron’s underground lair – only to be confronted with an army of Ultrons. Meanwhile, Hank starts to blame himself for everything Ultron has done and will do, and Jan fears for his sanity. In the mansion, Justice tirelessly researches Ultron’s history. And Alkhema has summoned a robot army of her own to free her. 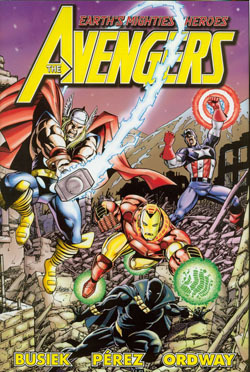 In “This Evil Triumphant”, the five Avengers fight an army of Ultrons. They fight for hours, never giving in, clothes in tatters. Thor especially is the back bone here, since he’s the only one who can destroy the titanium made Ultrons. The fight is epic. And yet, there’s also the human element. The Vision offering to help Ultron to shed his hatred and Hank blaming himself. And Vance having to confront the fact that the Avengers are very human, no matter how heroic they are, and so he can fit in, too. The arc is very grim and bloodthirsty for an Avengers comic. My only complaint is that there should have been more Avengers or even other heroes. Surely, some of the reserves should have come to help the main team in Slorenia, if not right at the start, then later. After all, the fight lasted hours, maybe a day or two. And doesn’t Marvel have a few European heroes who should have helped, too? I would have been happy to see them in just a few panels to unite with the UN troops, for example, while the main team still took on Ultron. After several issues of epic fighting, the collection ends with the confrontation between – the Avengers vs. the angry press, and between Simon and the Vision. The team has been getting really bad press in previous issues and they’re now being blamed for pretty much everything from the conflict with the Triune Understanding to creating Ultron. Now there are people outside the mansion gates demanding a black Avenger to the team. The Black Panther is still at the mansion but he can’t stay, and he doesn’t want to stay as a racial token, anyway. Who would in a job where you have to depend on your teammates to survive? Meanwhile, the Vision and Simon have a long talk. Simon reveals how he’s always been, and still is, insecure and waiting to be punished for all the bad things he’s done in his life. How everything he touches seems to break. And Vision feels like a fake compared to Simon, who is the original. The Vision feels that he has nothing of his own. He leaves. This was a very emotional issue and brought to foreground a lot of things that have been plaguing the characters before. On the other hand, I felt that this cheapened a little issue 14 where there was supposedly a heart-to-heart talk with Simon, Wanda, and the Vision, and yet the Vision didn’t say anything about these feelings. At any case, the team is again shook up which brings more conflict. In Annual 1999 we get a glimpse to the time during which the heroes were gone and thought dead. “Day of the Remains” by John Franics Moore and Leonardo Manco starts with a terrorist attack in opera. The Avengers foil it but afterwards Cap reprimands them for not working properly together. Then Jarvis tells Vance about the time when the founding members where thought to be dead because of Onslaught. The Black Widow tried to get a new team together but failed and the Avengers were disbanded. Later, four eerily familiar giant robots declare the current Avengers impostors and mutants and try to save the city from them. This is rather somber story first about how Natasha blamed herself for the “death” of the heroes and then failed to get a new team. Secondly it’s a story of good intentions going awry. Unfortunately, it’s not a memorable story especially suffers in comparison to the epic Ultron story. Needless to say, I really enjoyed this collection and I think new readers would be able to enjoy this one more than the previous collection. While these stories are also rooted in the past, more things are explained and so better accessible to new readers.